Otis College Campus Expansion from Otis College of Art and Design on Vimeo. 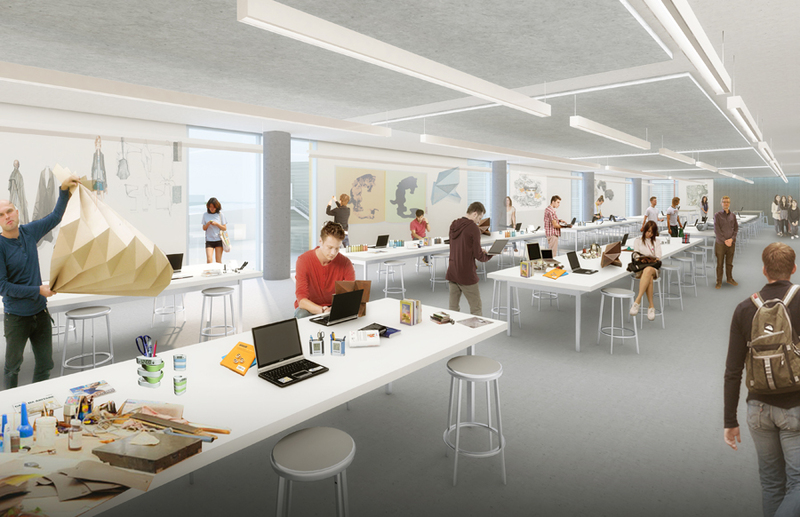 As Otis College of Art and Design approaches its Centennial, in 2018, improvement of the main Goldsmith Campus in the Westchester neighborhood of Los Angeles is both a necessity and a game-changing opportunity. 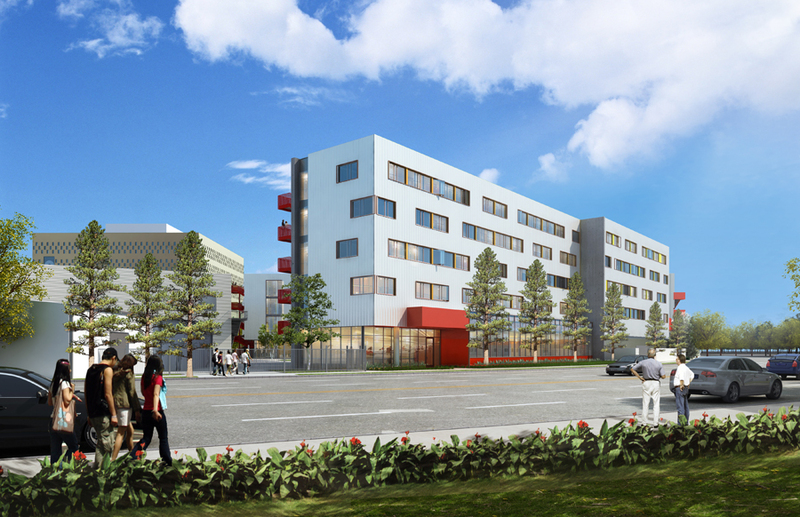 The Otis Campus Improvement Plan, jointly developed by the acclaimed Los Angeles-based architecture firms of Ehrlich Architects and Frederick Fisher and Partners, will add new facilities and landscape design, including a new residence hall, a new 300-seat forum, and additional academic and administrative space. 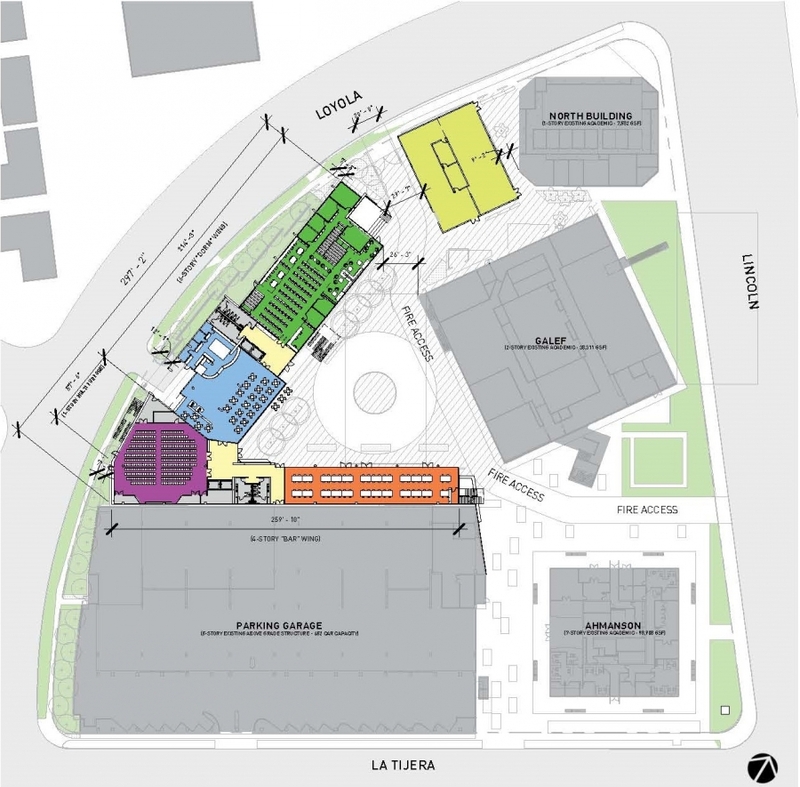 The Campus Improvement plan includes approximately 96,200 gross square feet (GSF) of new building construction and 7,500GSF of landscape design. The project consists of the construction of a new 5,200GSF shop on the campus' north side and a new 91,000GSF building sited on the west side consisting of two wings identified as “residential” and “academic” which are joined by a 300-seat forum on the ground floor level. Also provided on each housing floor are student lounge/work spaces. Provide a sense of place and community on campus. 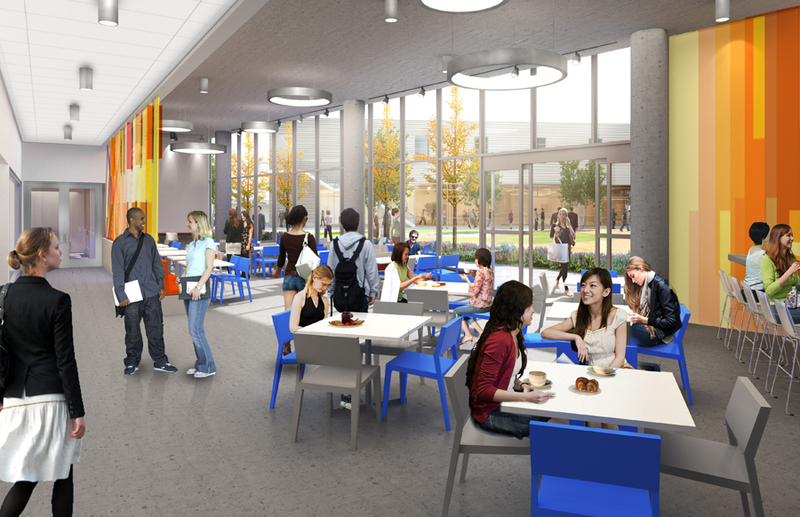 An attractive outdoor commons will be activated to provide an extension of educational and student life activities. This will enhance the sense of place and community and allow for artistic expression outside the walls of the new and existing structure. 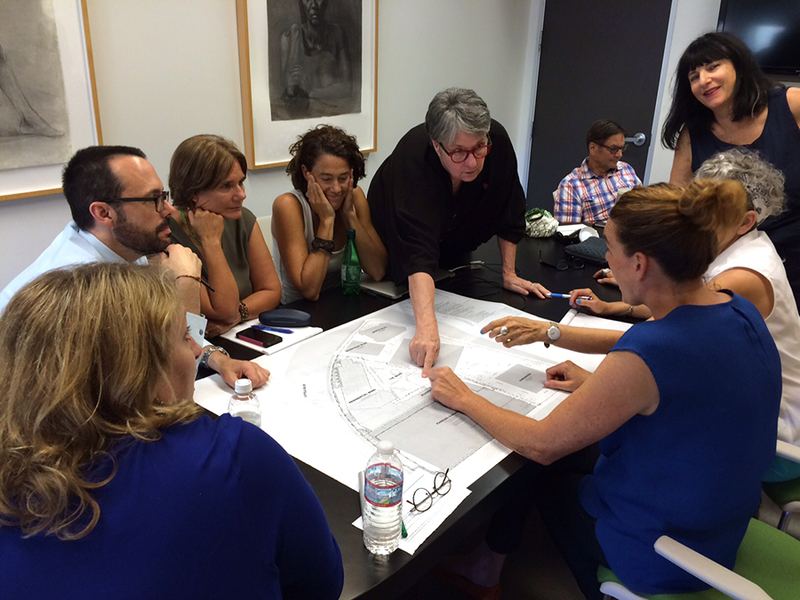 The campus improvement project and related campus unification efforts are guided by a Campus Aesthetics Advisory (shown at work, above) that includes members of Otis' Academic Assembly, key staff, and College leaders. 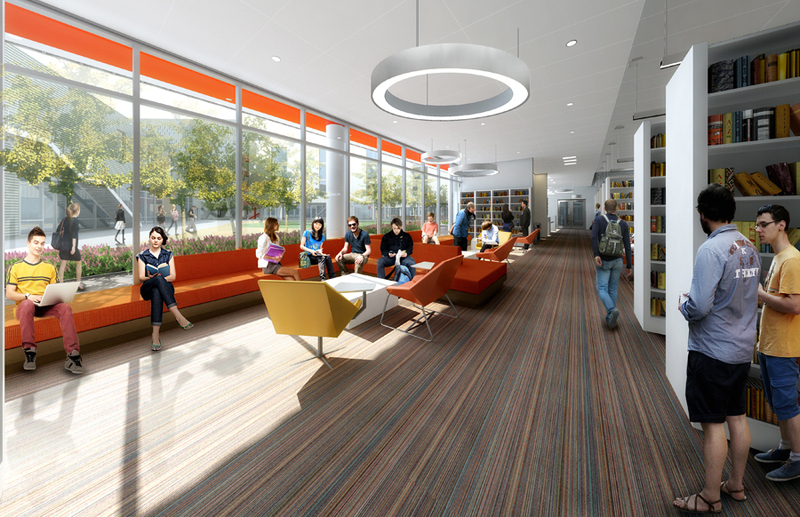 The ground floor levels of both wings are enclosed with floor-to-ceiling glass storefront systems to help visually connect the spaces to the quad and to other buildings, and to create more transparency on campus. The residential suites and the upper levels of the academic wing are clad with the same exterior skin to create a sense of harmony and dialogue between buildings. Windows in the residential suites are designed to maximize views while allowing for flexibility of furniture placement, and in academic spaces to maximize pin-up space and modulate interior glare. 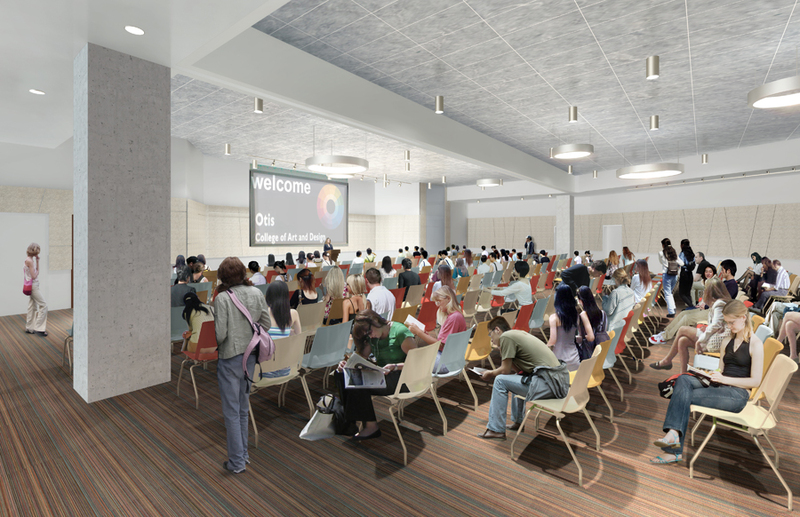 This planned transformation of the Otis College of Art and Design Campus will establish a greater institutional identity/sense of place and destination for Otis, enrich campus life and create a stronger creative culture on campus, and create a physical environment that reaffirms the College’s pedagogical vision. The Campus Improvement Plan was developed through a lengthy and thorough process involving all stakeholders at the College. For questions or more information please call (310) 907-8288.